Why Not a Long Weekend in Cologne? by Travel Expressions - Cologne, 07, Germany - 2 people like this. Lovely Cologne is located on both sides of the Rhine River, one of the major European metropolitan areas. The city is a major cultural centre of the Rhineland and has a vibrant arts scene, home to more than 30 museums and hundreds of galleries. Exhibitions range from local ancient Roman archeological sites to contemporary graphics and sculpture. The city also hosts a number of Trade Shows. Evan Rail, of the New York Times, just posted a neat review of his experience visiting the city ("36 Hours: Cologne, Germany"). From the hip clothing boutiques to the worldclass dining to the traditional brewpubs, there's plenty to do to stretch out a trip. "ONE of the oldest cities in Germany, Cologne has been drawing visitors since at least the year 50 A.D., when it was officially founded as the Roman outpost of Colonia. Today the big attractions are the city’s ancient (and gargantuan) cathedral, vibrant night life, a great native beer called Kölsch, and eau de cologne, invented here in 1709, not to mention the ever-present Rhine River. But the city the Germans know as Köln is hardly resting on its former achievements. New surprises just keep showing up. 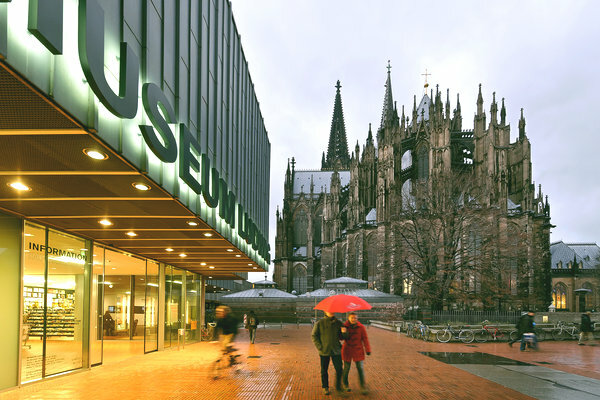 After crossing off bucket-list items like exploring the cathedral and crawling through legendary Kölsch pubs, you can easily spend an entire weekend focusing on the shops, restaurants and hotels that have opened (or reopened) within the past few years." Check out the full article for his complete itinerary. Get inspired to travel and contact Travel Expressions to start your next adventure!